Alex Bondarevsky and Shawn Abramovitz at Core Consultants Realty Inc. in Toronto are marketing fort lease two 750 square foot street front retail units in adjacent buildings at 160 and 162 McCaul St. in downtown Toronto. The units can be joined to form a 1500 square foot unit with over 34 feet of frontage on McCaul. The ceiling height is 10.5 feet. Each of the units also include 750 square foot basement areas, each with about eight foot ceiling heights. Located near the high traffic University Ave. and Dundas St. West intersection, the site is near University of Toronto OCAD University, Art Gallery of Ontario, Mt. Sinai Hospital, Princess Margaret Hospital, Hospital of Sick Children, Mars District, and St. Patrick subway station. 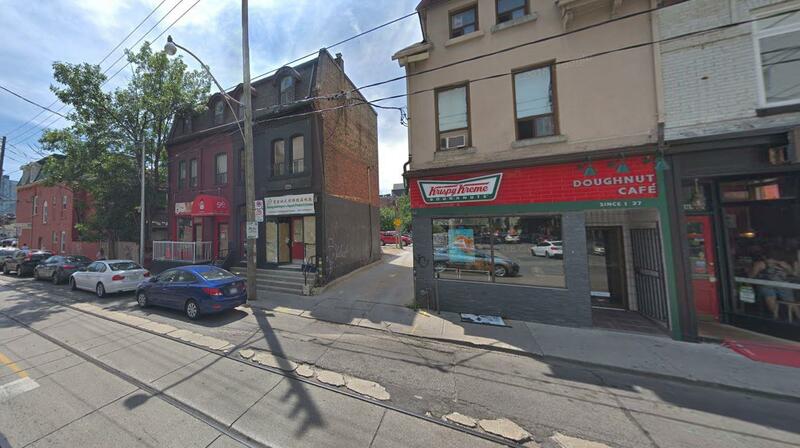 Three condo developments are underway in the area and retail units in the area include Krispy Kreme, Jimmy’s Coffee, MiDi Bistro, Sin & Redemption Lounge and TD Bank.